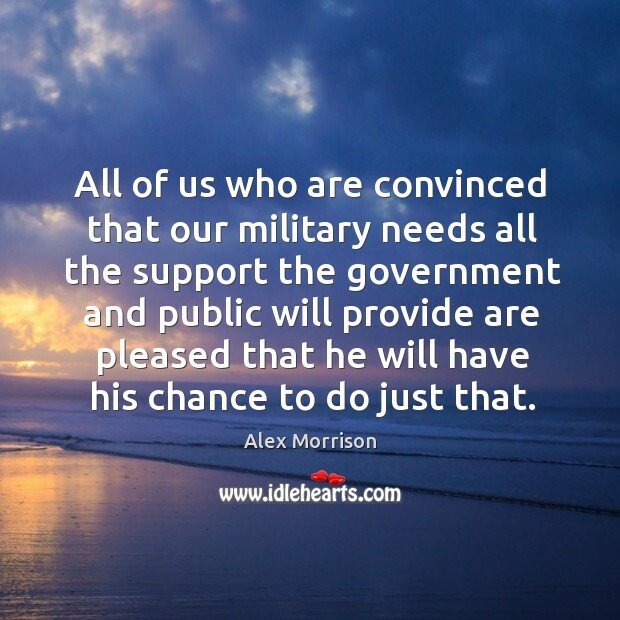 Enjoy the best inspirational, motivational, positive, funny and famous quotes by Alex Morrison. Use words and picture quotations to push forward and inspire you keep going in life! 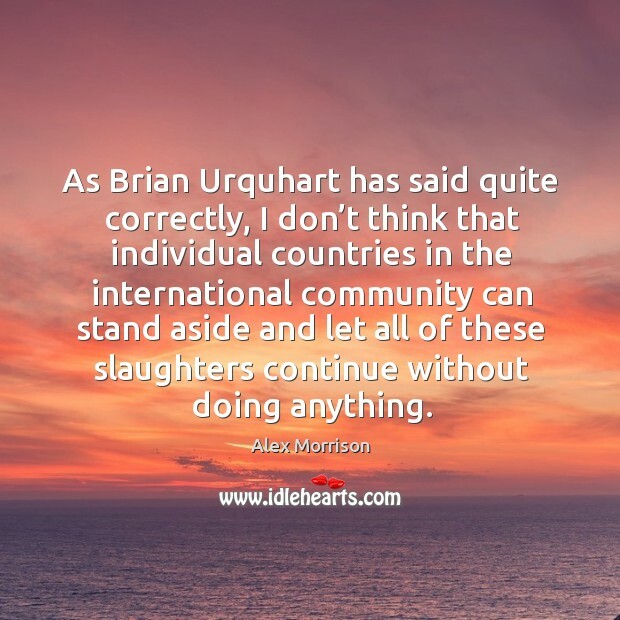 As Brian Urquhart has said quite correctly, I don’t think that individual countries in the international community can stand aside and let all of these slaughters continue without doing anything. 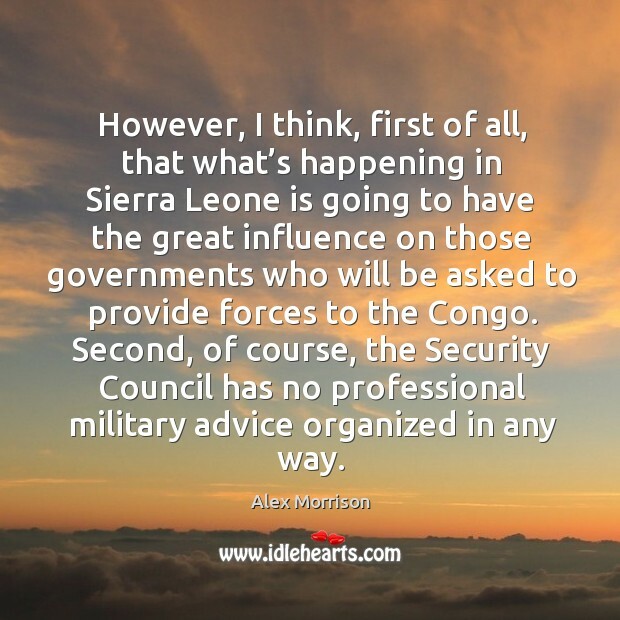 However, I think, first of all, that what’s happening in Sierra Leone is going to have the great influence on those governments who will be asked to provide forces to the Congo. Second, of course, the Security Council has no professional military advice organized in any way. 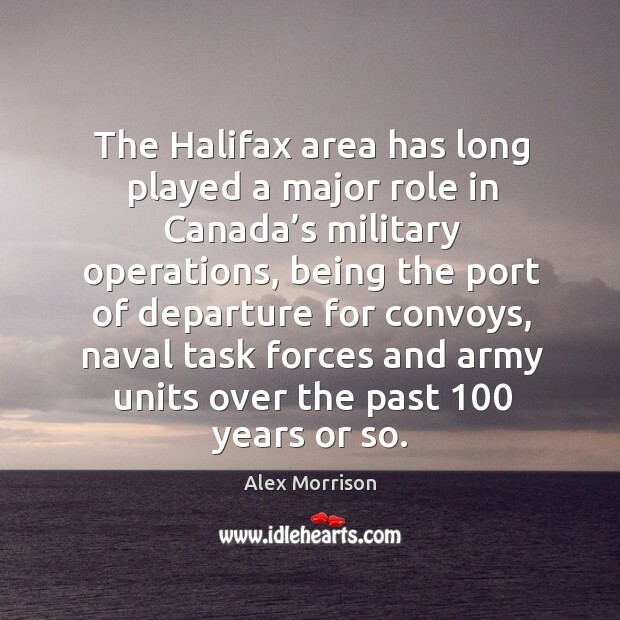 The Halifax area has long played a major role in Canada’s military operations, being the port of departure for convoys, naval task forces and army units over the past 100 years or so. 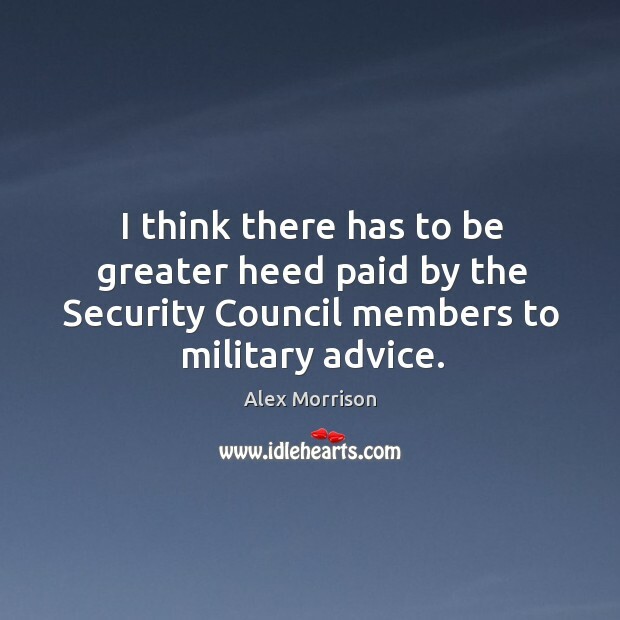 I think there has to be greater heed paid by the Security Council members to military advice. 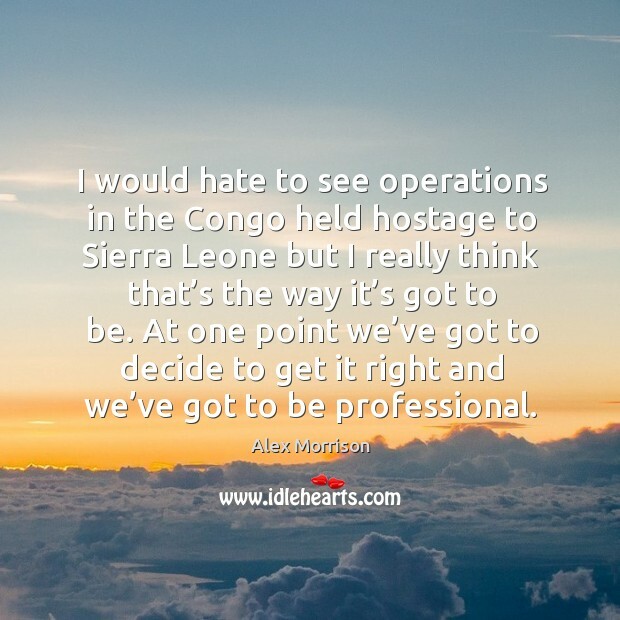 I think they do have to get it right in Sierra Leone. 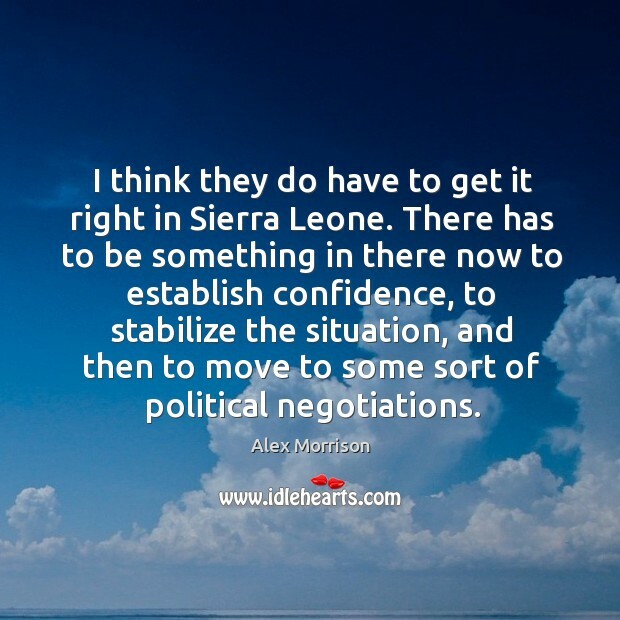 There has to be something in there now to establish confidence, to stabilize the situation, and then to move to some sort of political negotiations. 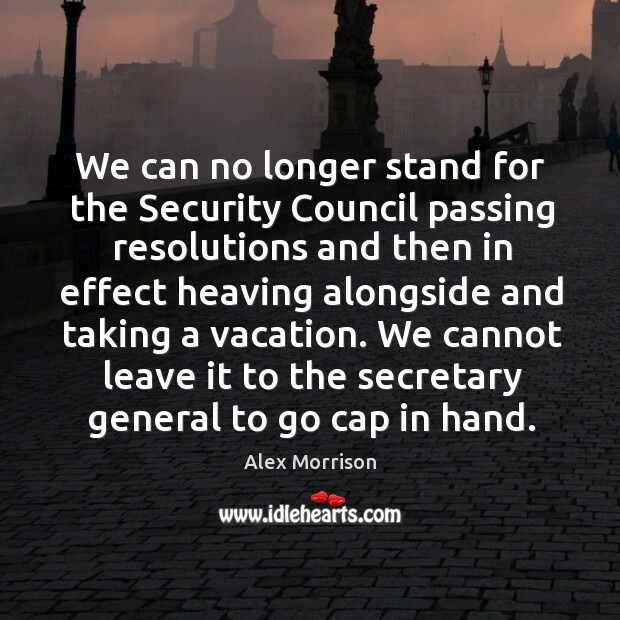 We can no longer stand for the Security Council passing resolutions and then in effect heaving alongside and taking a vacation. We cannot leave it to the secretary general to go cap in hand. 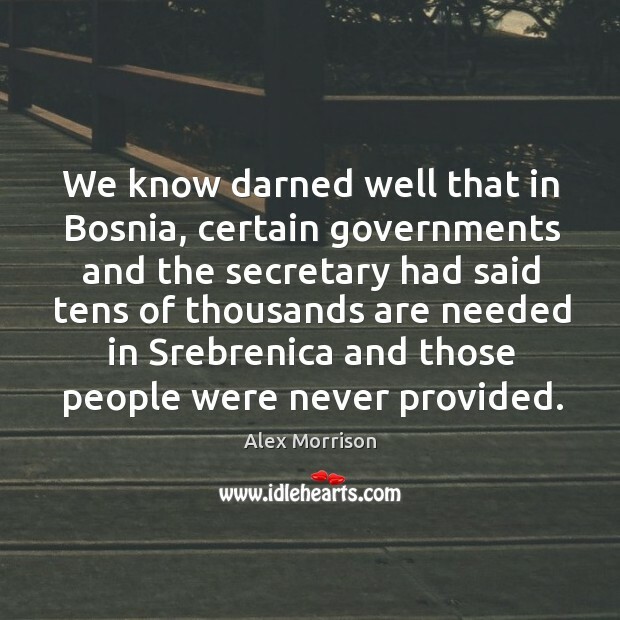 We know darned well that in Bosnia, certain governments and the secretary had said tens of thousands are needed in Srebrenica and those people were never provided. 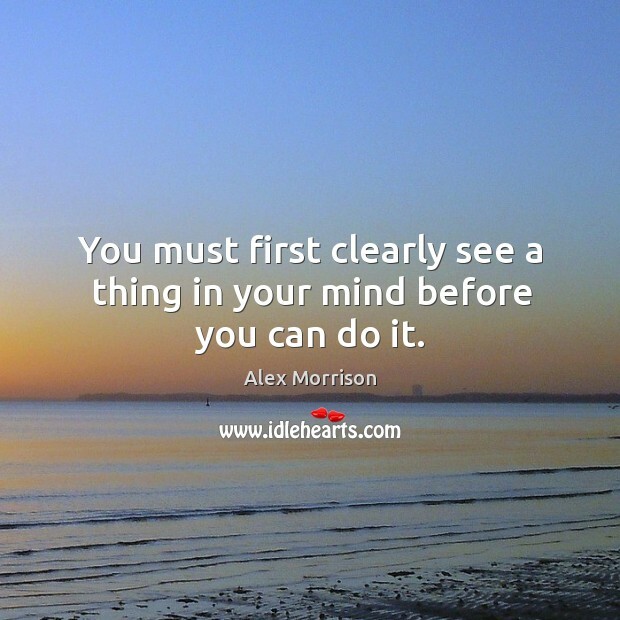 You must first clearly see a thing in your mind before you can do it. 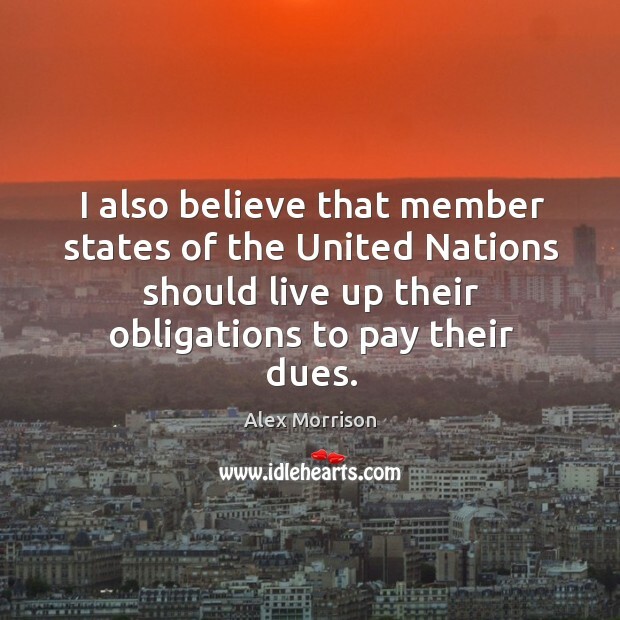 I also believe that member states of the United Nations should live up their obligations to pay their dues. 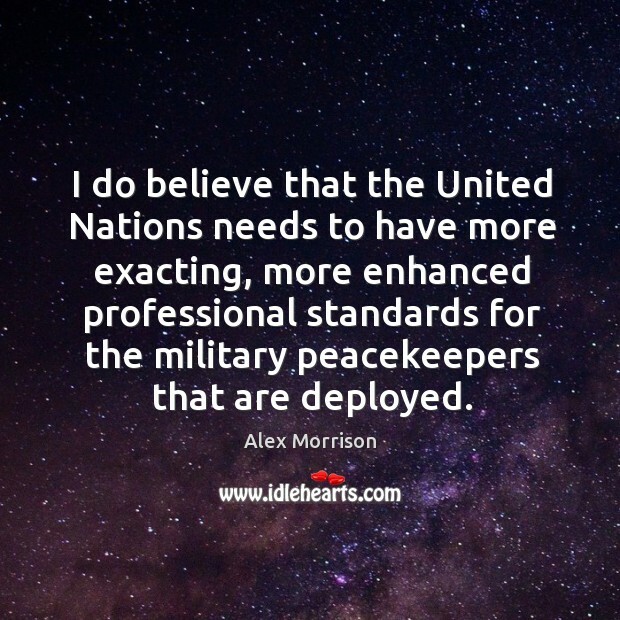 I do believe that the United Nations needs to have more exacting, more enhanced professional standards for the military peacekeepers that are deployed.